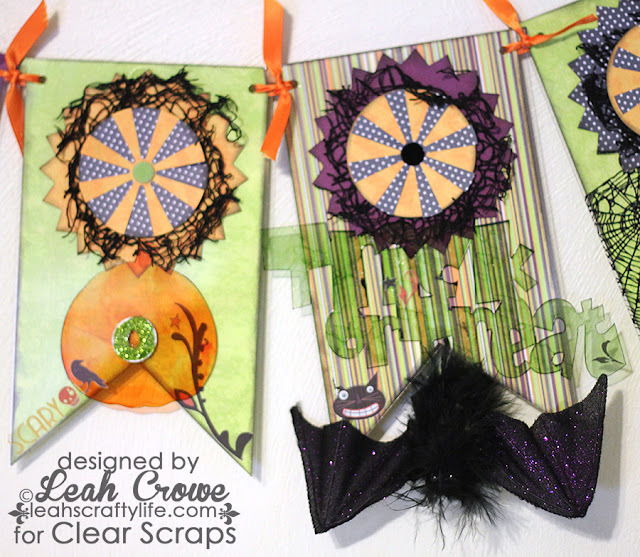 Paper Issues has a new theme..Halloween Harvest and it is being sponsored by Lori from the fabulous kit club Gossamer Blue! Clear Scraps acrylic pennant banners and mini Halloween albums. 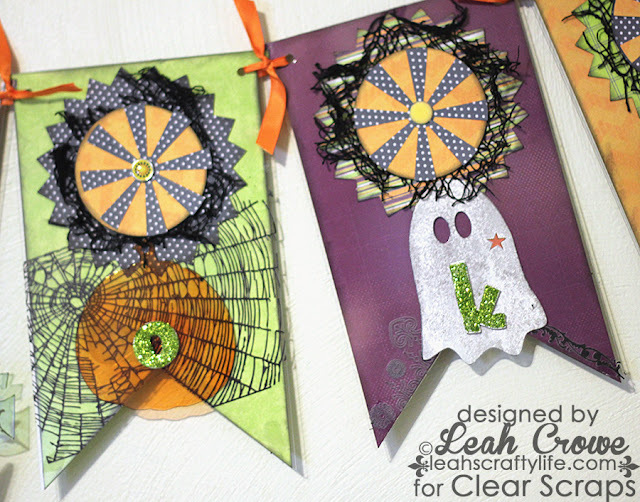 I used Quick Quotes Halloween paper line on this cute banner. 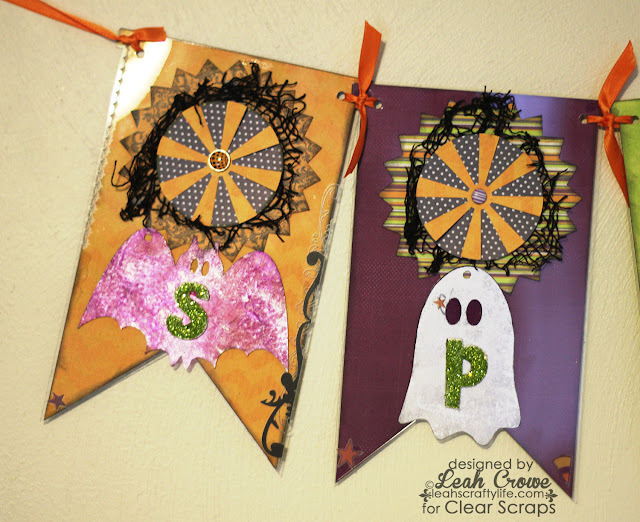 I alcohol inked the mini albums (ghost, bat, pumpkin) then added on rub ons and sparkly chipboard letters to spell out Spooky. don't you just love that bat? 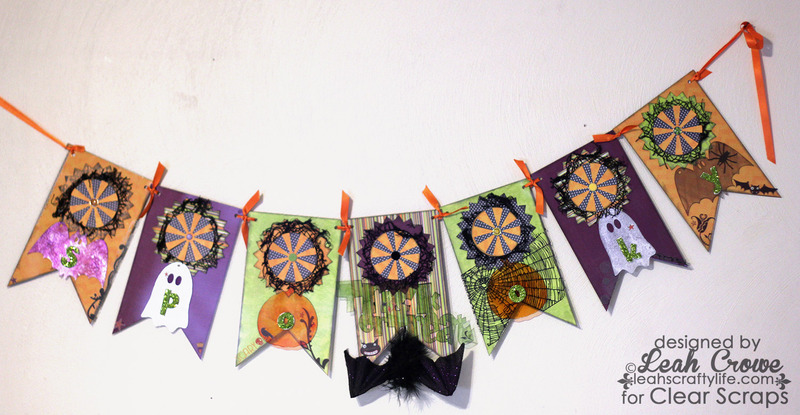 and there you have my Spookalicious Halloween Banner. 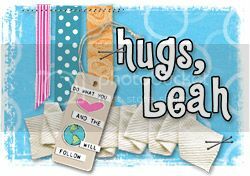 Now.. Gossamer Blue is giving away one free kit that is in stock in their store. In order to win: 1. Like Us on Facebook. 2. Like Gossamar Blue on Facebook. 3. Leave a comment on the Paper Issues Blog saying you completed #1 & #2. 4. As a BONUS, submit a HALLOWEEN HARVEST project. I think I'm going to put that kit club on my ever growing Wish List! Don't forget you can get 20% off products in Paper Issues Shop using my code LEAH20 at checkout!! This is ADORABLE!! I loveeeeeeeeeeeeeeee the colors!! Oh my goodness, This is wonderful Leah. I love the design, the colours and all the fabulous detailing. This is so cute, perfect for Halloween! Looking at this makes me want to make a Halloween banner too. Just trying to find the time, it will be here before we know it! Great banner! Love that net trim! That is a really cute banner you made! Love that banner that is so cute ! Gorgeous banner! Is that black lace or doily that used too?